It's been almost a year since Gabriel Blackwell first sent me this wild, funny, strange, rich story. In the time since then, he has slowly, painstakingly reinvented its form with a series of additions: YouTube videos, audio recordings, old-school ads, and general strangeness. 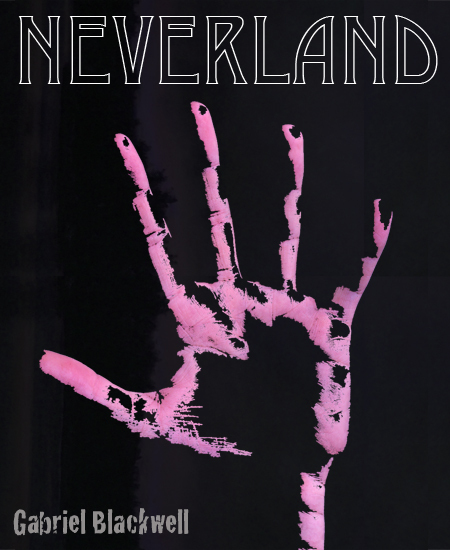 Neverland uses the medium in which it exists more extensively than just about any narrative prose I've seen before, and for that reason alone it's worth your time (and your promotion on Twitter, Facebook, and so on). At first, Gabe asked me to design a container for the story that would look like a crappy corporate site from the late '90s. Then he suggested it should actually look a bit more like Wikipedia. I ended up somewhere in the middle. I mention this so you'll know that the mistakes are usually intentional. "Slowly" is right. The year that Mike makes mention of was mostly spent in re-learning old skills I had hoped never to have to re-learn. I was, for two years in college, a "Media Studies" (read: film) major (I know, you would never suspect it from the evidence here, but it's true -- in my defense, most of my tutelage was in film theory); though I did pursue my interest far enough to earn the equivalent of a minor, I dreaded the production aspects of my classes as almost nothing else, and gladly became an English major my Junior year. It was less a matter of enthusiasm than of facility. Whatever facility I might once have had has disappeared, but I have discovered that I'm not as completely hopeless at graphic design as I had supposed, so something good has come out of all of my frustration this spring. I mean something besides Neverland itself; Mike should get all the credit for putting my misshapen pieces together (and for the cover, as seen above), and additional credit is due Cord Bueker, who provided the drawings of Tick Tock, Captain Hook Z'Dar, and Pastor Daniel. Despite a certain constant low-level frustration at my ineptitude, the whole process was really fun, and I got to use some great shots of Z'Dar and even a Goblin song. All of this is to say that Neverland is up at Uncanny Valley Press, starring Robert Z'Dar, Runaway Daniel Bernhardt, the La Brea Tar Pits, cyborgs, Dalmatians, Peter Pan, the Lost Boys, and a cast of thousands. Enjoy. While you're over at Uncanny Valley Press, you should check out Laura Ellen Scott's Curio, and Sutherland Douglass's Peeping Tom 'Rockefeller'. And thanks to Mike and Tracy Meginnis for putting Neverland in such fantastic company.